If you’re in the Richardson area or nearby, exceptional dentistry is actually much closer than you’d think. Our doctors choose to offer specialty techniques and use state-of-the-art tools in order to ensure that patients receive the high caliber of care they deserve – and they do so in a comfortable and low-pressure environment! At Canyon Creek Family Dentistry, you can truly look forward to enjoying the best of both worlds at every visit. Please contact us today if you have any questions for our team or if you’re ready to schedule the first appointment for you or a loved one. 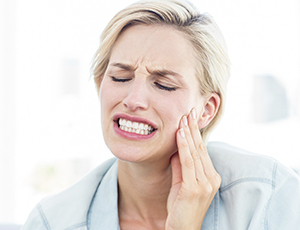 When the joints that connect your lower jaw to your skull (the TMJ) suffer from strain because of teeth grinding, a misaligned bite, a facial injury, or other causes, patients can find themselves experiencing constant, significant discomfort that interferes with their daily routine. Thankfully, our dentists are very familiar with TMJ disorder, and we can help treat it by either adjusting your bite or providing a customized occlusal splint that can alleviate your jaw’s inappropriate positioning. As a result, you can reclaim a pain-free life! 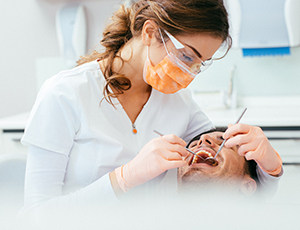 If you feel anxious or afraid when faced with an upcoming dental appointment, you’re not alone. Our team provides sedation dentistry so that these patients are able to receive the care they need in a truly comfortable environment. 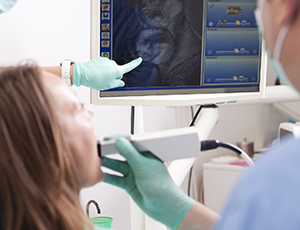 Intraoral cameras can give our patients a detailed look at the inner workings of their oral health, helping them become full partners in their care instead of simply feeling like they’re along for the ride. The camera-tipped wand is placed comfortably in the mouth and immediately begins to transfer images to a monitor in the room, and our doctors can use them to identify problematic areas and explain the goals of certain treatment options. Dental x-rays have come a long way over time. 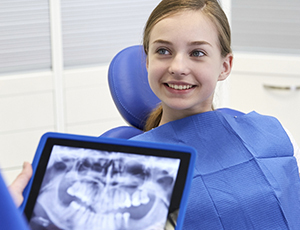 Today, our Richardson office relies on digital radiography for a safer, faster, and more comfortable diagnostic experience that eliminates the use of darkrooms entirely. Instead, high-resolution images can be viewed in seconds by patients and team members alike, and the radiation you and your family are exposed to is dramatically reduced by up to 90% as well. 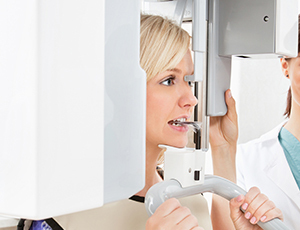 By utilizing x-rays, we can identify and treat dental concerns at the earliest stage possible. While digital x-rays are extremely valuable to the treatment process, the traditional version of them does have some limitations. When planning advanced care like surgical implant placement, our dentists want to ensure that our plan of action is as comprehensive and precise as possible; that’s why we use a state-of-the-art Instrumentarium Dental™ Cone Beam. This technology captures three-dimensional panoramic x-rays of a patient’s teeth, jaw, skull, and more that give us all the information we need to proceed with confidence.